The B2B market for the Internet of Things (IoT) is all set to reach $267 billion by 2020, says a new report published by the Boston Consulting Group (BCG). The report, ‘Winning In IoT, It’s All about the Business Processes,’ outlines the importance of the B2B IoT market, stating that services, IoT analytics, and applications will be the fastest growing of IoT technology stacks. Each of these independently, will generate $64.1 billion of spends by 2020. And together they will be responsible for 60% of the IoT growth. BCG points out that 50% of IoT spending by 2020, will be driven by discrete manufacturing, transportation and logistics, and utilities – with the highest impact found on non-tech industries. 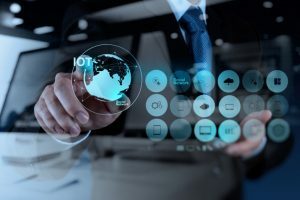 The main factor for IoT growth will be the need for end-to-end integration solutions that are secure and scalable, and ones that can cater to the current mix of legacy, on-premise and cloud systems. The IoT of the future will not just enable technologically, but will drive operational excellence and performance. BCG cautions that companies adopting IoT ought to first outline where IoT can add value to their business. Predictive maintenance i.e. forecasting equipment malfunctions and breakdowns are the first and foremost use case, having a direct positive impact on operations. Another important use case, especially in a factory set-up is Self-Optimizing Production and the advent of the Connected Factory which will surely alter the very fundamentals of manufacturing processes. Automated Inventory Management will be equally important as it transforms supply chain capabilities. IoT networks will be used to monitor products, conditions such as temperature and pressure, and reduce stock-out and enable a just-in-time mechanism, thereby curtailing costs. Other important use cases outlined by BCG are Track and Trace, Distributed Generation and Storage, Connected Cars, Fleet Management and Demand Response (especially for certain appliances). Companies that wish to embrace IoT and integrate it seamlessly into their business model, must have a close look at these various uses cases, and decide what suits them best. According to the research, 40% of today’s IoT customers still prefer to use traditional and well-established software companies for their IoT solutions. Yet there is plenty of scope as the field is quite fluid, with many a customer turning into an IoT provider.